Let's have some fun on a Friday eve. Show some leg. 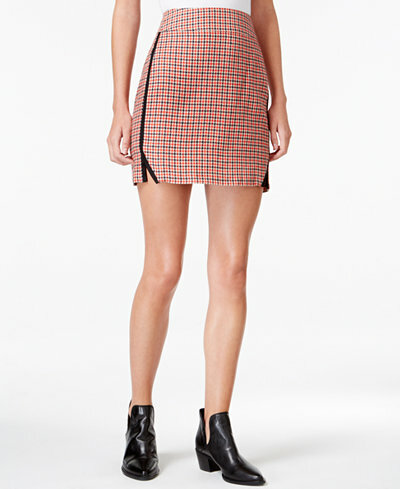 It's mini skirt tine. 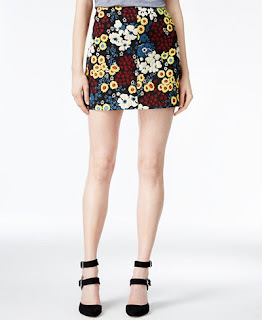 Not just any mini skirt, a printed mini that has some personality. You can't beat this price, and look at the pipe detailing! How much FUN is this skirt?! 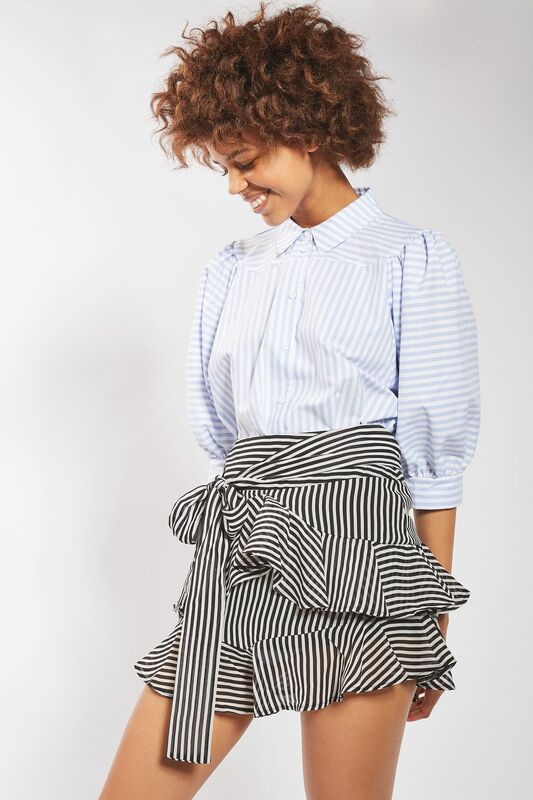 I love the stripe, ruffle, tie, everything! How stunning is this embroidery? 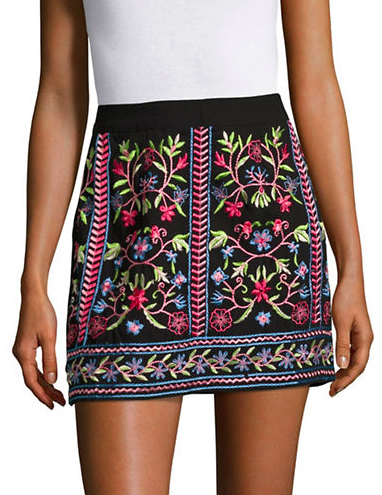 The colors, the pattern, beautiful. Major sale and great print. I love this with a denim jacket or a blazer. Remember to know your length when wearing a mini skirt. Do the sit test in the dressing room. Sure a daring hemline is great, a full moon, not so much.